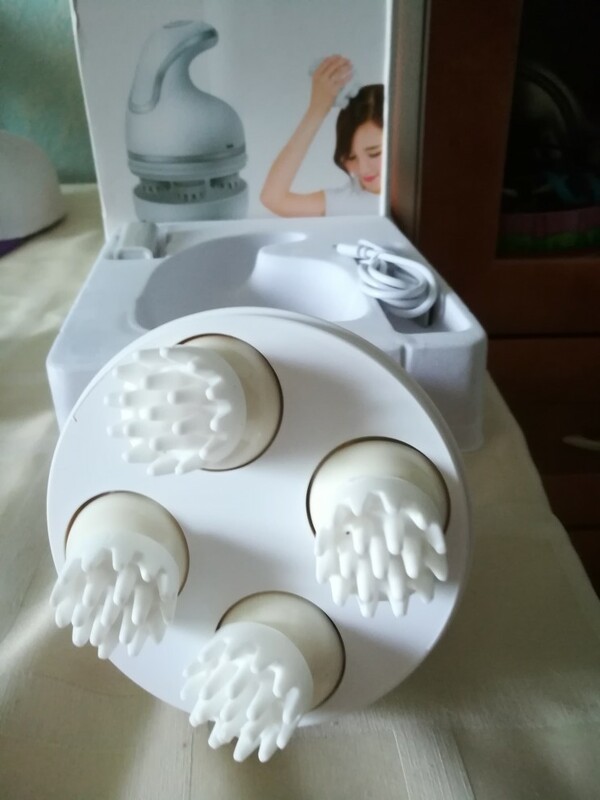 – 3D Massages your scalp: Four rotating massage heads for you to relax from stress and increase blood circulation, results to worry-free enjoyment and better sleep. – Muti-functional: Except for massaging scalp, its 360°kneading suits to massage your neck, shoulder, back and other body parts. 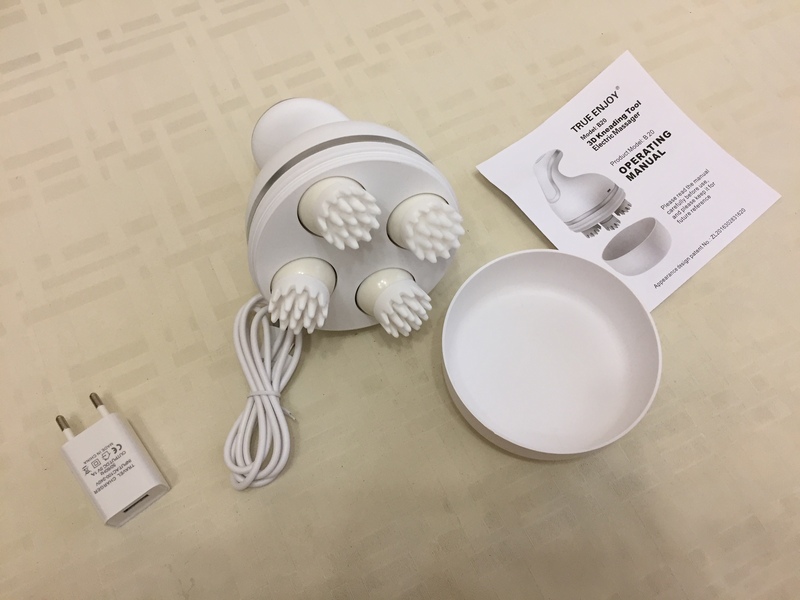 – Hand size: Portable sized design enables massaging wherever and whenever since its battery endurance lasts approx 2hrs and charged by USB. – Perfect Choice: Best gift for families, parents, lover, friends and even pets. – During charging, the power indicator light flashes red, after fully-charged, the battery indicator is light. 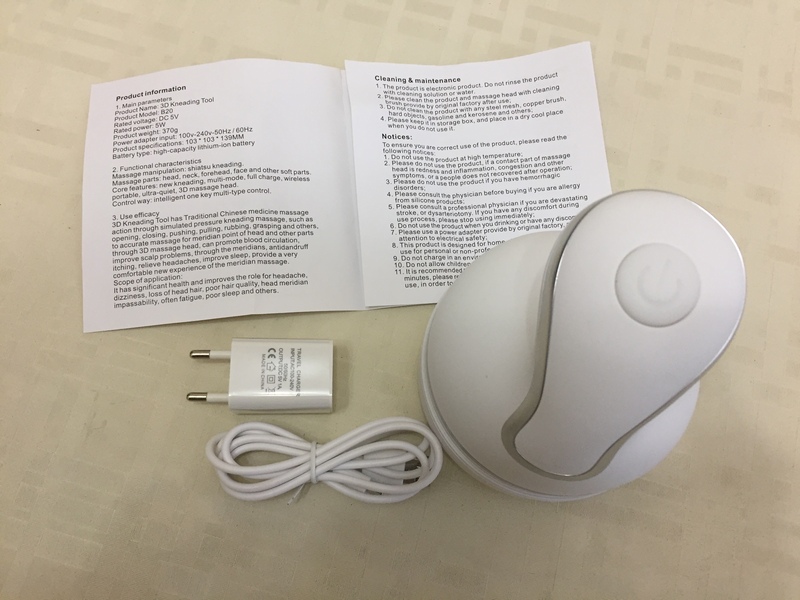 – The product does not support charging under starting up state. 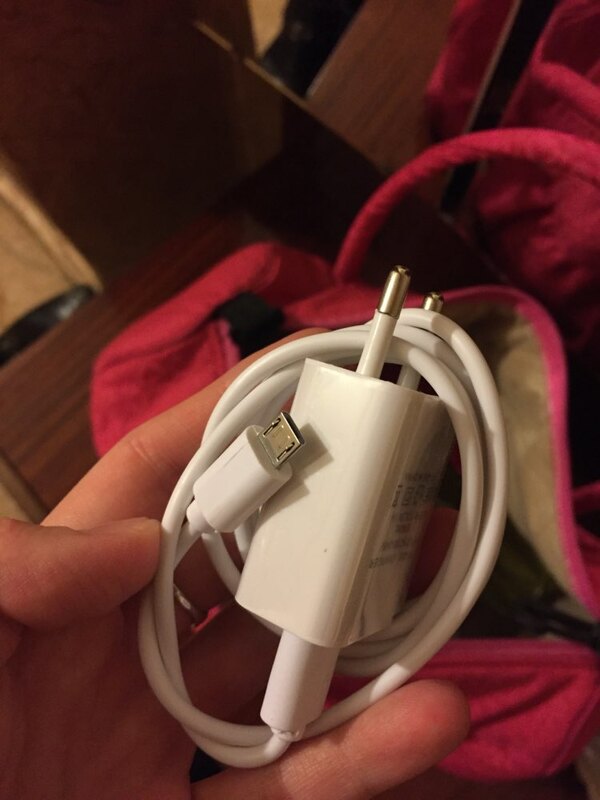 Do not use the product during charging. 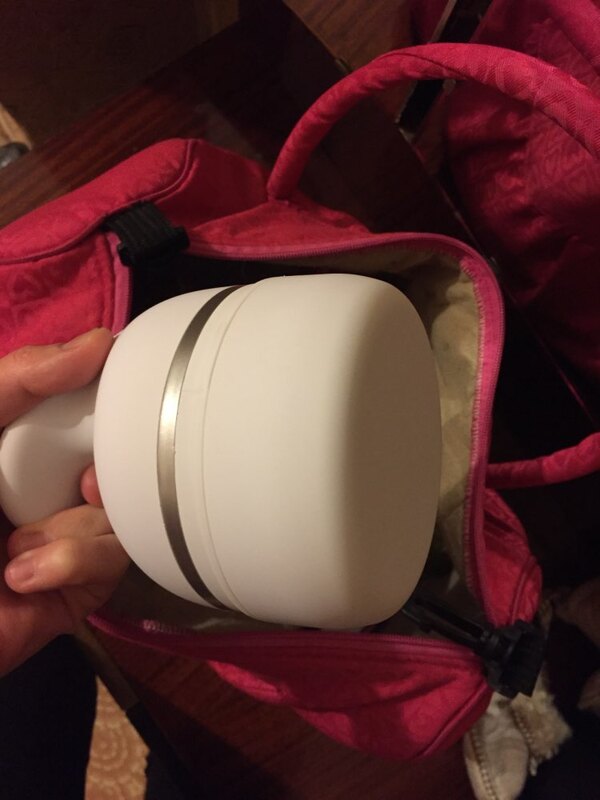 – It is the best charging time for 2 – 3 hours. Super, super , super. perfect very strong motor worth it. 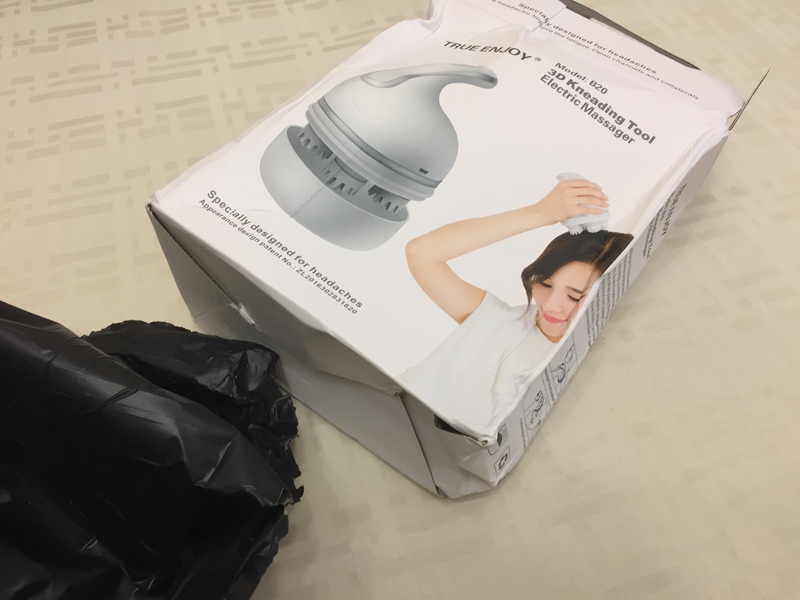 The packaging is very wrinkled, but the product is whole! Everything works! Moscow reached in 10 days. Track tracked. 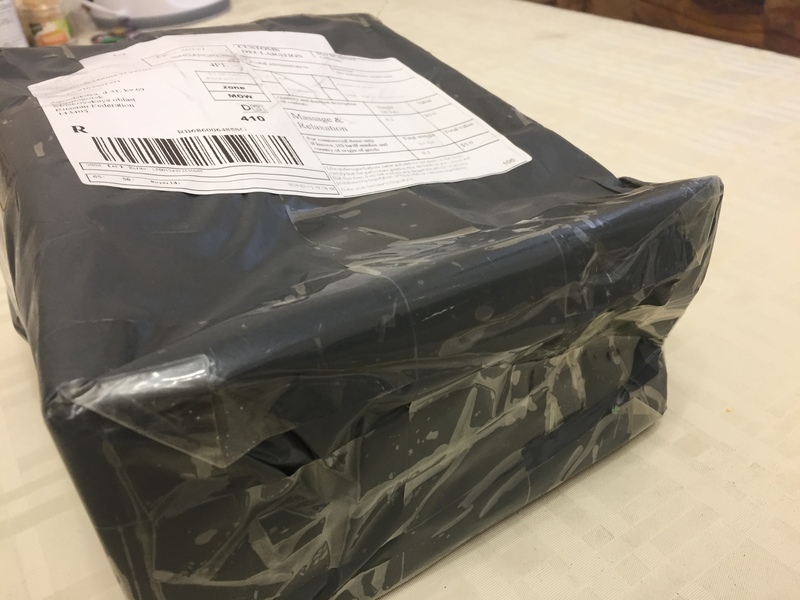 Packed was bad in cellophane postal package. The box was all wrinkled. It's a miracle that the massager did not crash. 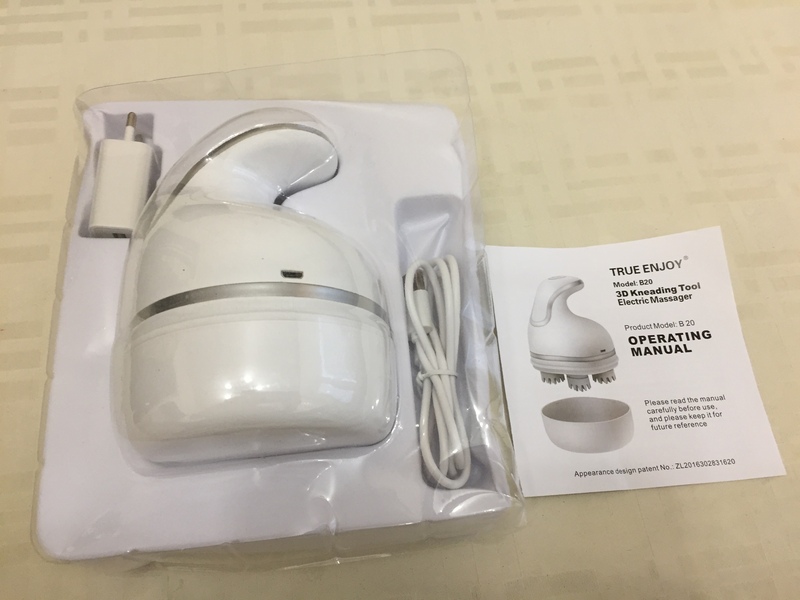 Included: the massager itself, stand, charging wire, adapter and english manual. Full charge 2 hours. First, the red light will light up when the green light will light up. 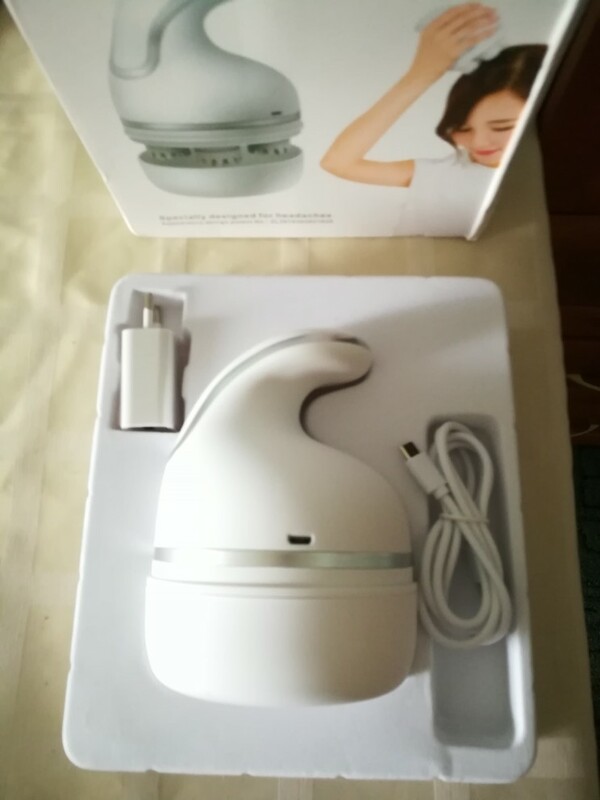 For massage head and shoulder area fits well. If a little more press, then starts to slow-the motor does not pull. Works quite noisy. Pressing the button and it turns on, the second pressing speeds up. The third click is the rotation in the other direction. Press and hold and it will turn off. Thank you store! The massager is very good! powerful, well kneads. 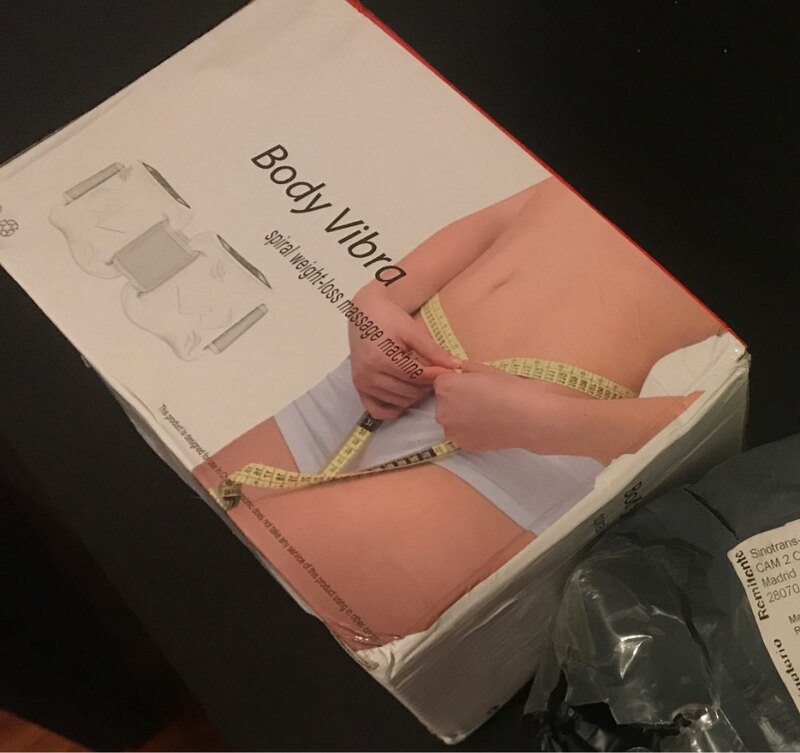 it was about a month, the store was well done, sent quickly. the box was really very wrinkled, but it's nothing. there are no instructions in russian, but in general, and without instructions everything is clear. 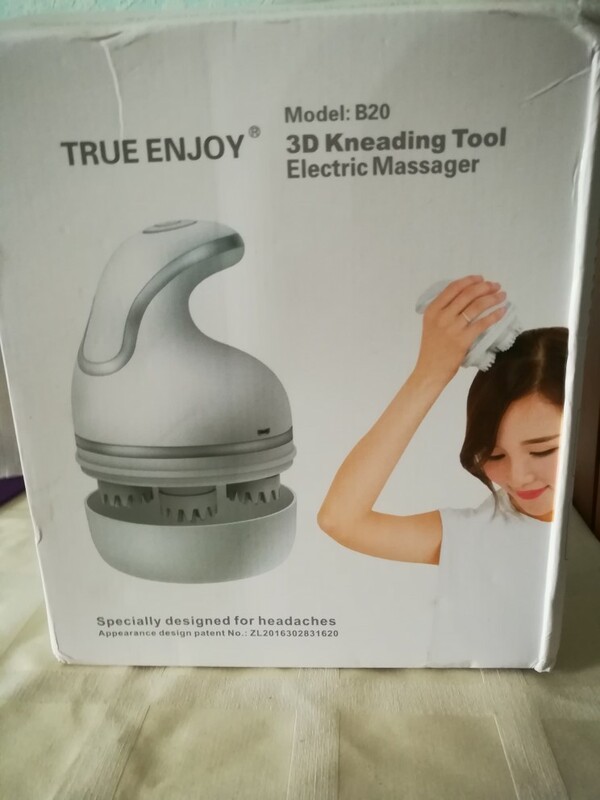 massager recommend. really one of the best. 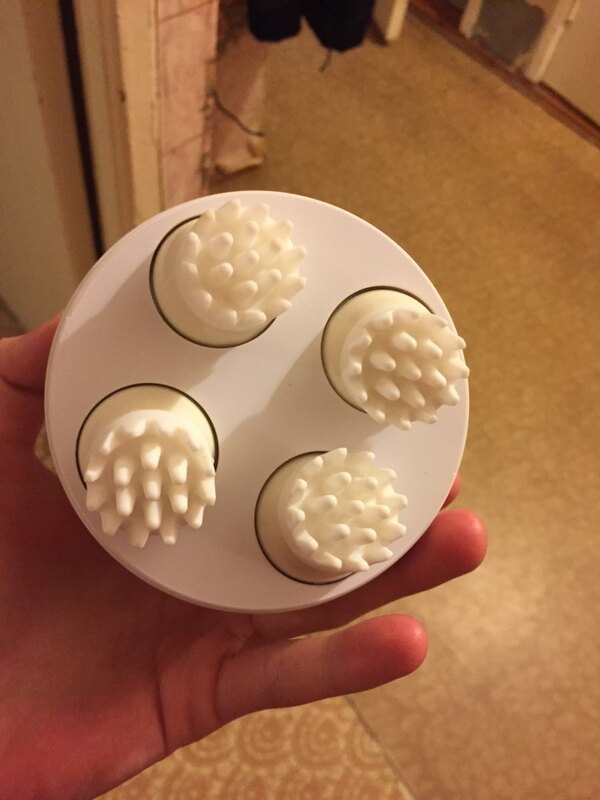 Excellent massager for all characteristics. Very satisfied. I recommend. Thank you very much for the fast delivery and quality of the goods. The store umnichka recommend. 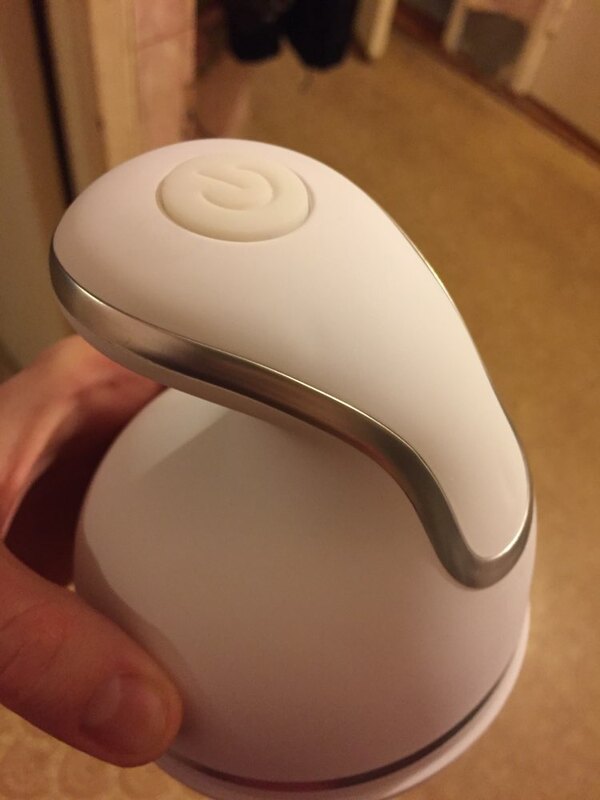 Massager super, full of delight. All 10 stars. Well-being and prosperity of the company. To moscow one week. 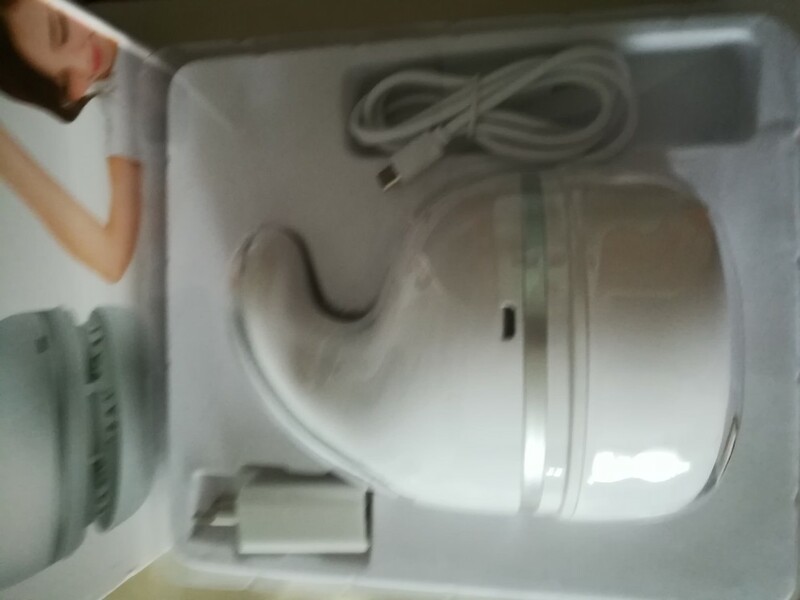 Really good product..It is the best massager. 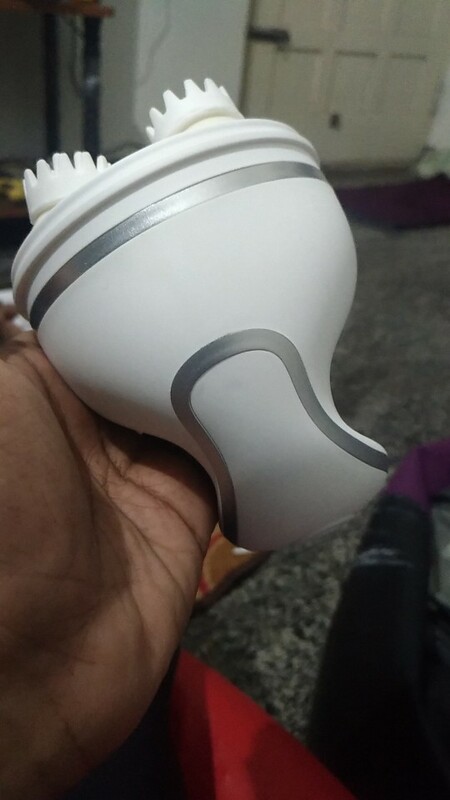 Packaging could have been better..but received the product in good condition..